Launch Your Affiliate Program Today! Recruit your own commission-only affiliate sales team and manage them easily with LeadDyno. It's the most cost effective form of marketing you can do - because you're paying for performance only. Join us here for a live demo today or tomorrow. Our affiliate invite feature is a great way to grow your affiliate team organically, and automatically. 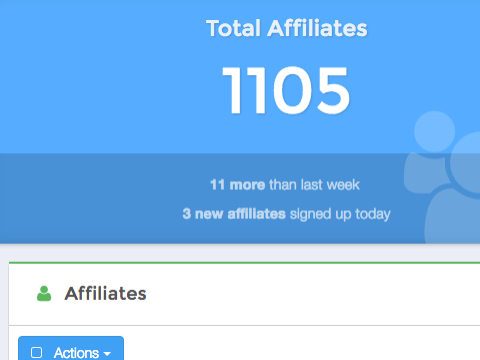 Tap into your own list, website visitors and new customers - and you'll be thrilled to see how enthusiastic these folks will be to join your affiliate program. We have an affiliate network exclusive to e-commerce. The leading publishers, bloggers and social media influencers can send a lot of traffic your way and sell a lot of product. You can join our E-CommerceAffiliates.com network for free as a merchant. To get started, sign up for our affiliate network right here. For example, if one of your visitors clicks the Facebook button near one of your products, they'll be logged into Facebook with a Wall Post pre-written and ready to be shared. That Wall Post will contain your specific product information. 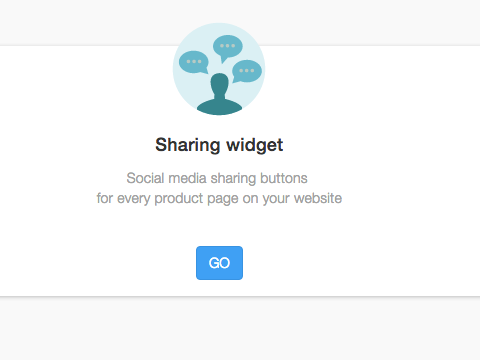 LeadDyno's Sharing Widget is "smart" enough to pull these product details from your page automatically (just like Amazon). As your visitors share, they'll be invited to join your affiliate program... so that they can also earn a commission from their social media share. As an affiliate, they'll be able to access they need via their Affiliate Dashboard. Such as their unique affiliate link, banner ads for their website, and more one-click sharing links that connect to email and social media like Facebook, Twitter, and Pinterest. You'll get your very own Affiliate Sign Up page... which you can fully customize, brand, and even embed directly on your own website. Connect with leading bloggers and social influencers in your industry. Learn more and sign up here. Our new (and very popular) Affiliate Invitation feature will invite your new customers to join your affiliate program automatically. It's a "one-click" plugin with your Lightspeed store. Pay your affiliates automatically or with "one-click" approval using Paypal, Dwolla or even Coinbase. 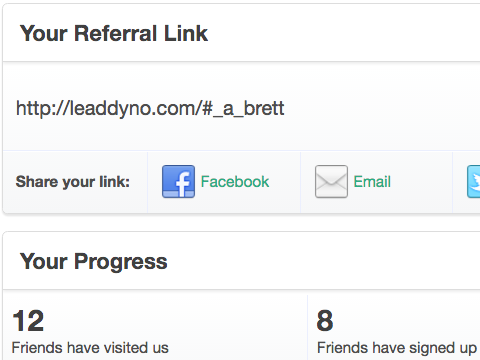 LeadDyno totals affiliate commissions for you on the fly. Upload banner ads, import your marketing copy and materials, and help affiliates create their own custom links to specific product pages and subdomains. LeadDyno’s Affiliate Dashboard is fully customizable and embeddable, so you can "white label" your affiliate program with your own brand and logo. We have a large network of high quality e-commerce affiliates that we can recruit to your affiliate program, too. 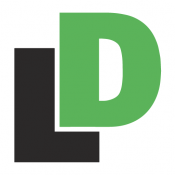 Our helpful live chat support is available Sunday through Friday via our website and within LeadDyno itself. Phone and email support is free, too. All of our support operators are based in the U.S. Please join us today or tomorrow (or any weekday) for a demo of LeadDyno. We'll show you exactly how to setup LeadDyno to drive more traffic and sales to your Lightspeed store. We’ll also save time for Q&A throughout and afterwards. Please click here to sign up.